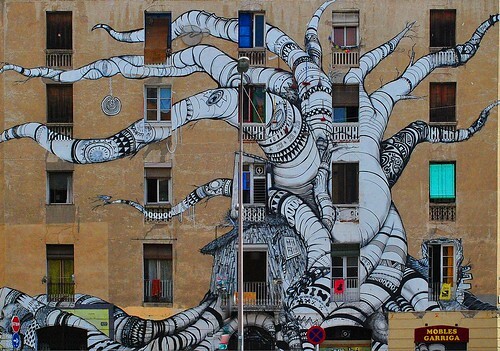 Barcelona Mural a photo by chrisshots on Flickr. Because 1. I’m way too tired and filled with other things to do an interesting post, and 2. This photo is way much cooler than what I was ever going to put anyway. Appreciate Modern art. Photo taken by chrisshots, with no real name given. Followed and bookmarked! I have to admit the duck post from yesterday was incredible! Well done!